Tens of thousands of individuals participate annually in clinical trials and research studies involving human subjects. Many of these studies expose the subjects to ionizing radiation, often through imaging examinations. Currently, there is limited and varied guidance available to assist researchers and institutional review boards in preparing protocols that involve radiation exposure to humans. Further, institutional review board members may have only limited knowledge of which imaging studies utilize ionizing radiation [e.g., computed tomography (ionizing) versus magnetic resonance imaging (nonionizing)]. For those imaging procedures that do utilize ionizing radiation, researchers may not have determined absorbed doses, nor have the educational background to properly communicate to subjects the risk of potential health effects from radiation exposure. Consequently, researchers and institutional review board members would greatly benefit from clear guidance on assessing proper utilization of radiation, estimating radiation risks and benefits, and ensuring that informed consent statements have consistent, comprehensible and accurate language. templates for informed consent documents. is a Diagnostic Radiologist, board certified in General Radiology and in Nuclear Medicine. Her medical practice has been varied, including Chair of Nuclear Medicine at the Veterans Administration Hospital in Lyons, New Jersey; Staff Radiologist at Robert Wood Johnson University Hospital and St. Peter’s Medical Center, New Brunswick, New Jersey; diagnostic imaging in an inner-city hospital in Jersey City; and Mammography and Women’s Imaging in an outpatient facility in Morristown, New Jersey. Dr. Timins is Chair of the New Jersey Commission on Radiation Protection, and sits on the New Jersey Radiologic Technology Board of Examiners. She served on the NCRP Board of Directors and has participated on several Annual Meeting Program Committees. She is past president of the Radiological Society of New Jersey and recipient of that organization’s Gold Medal Award. 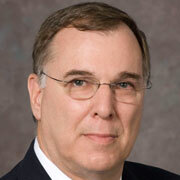 Dr. Timins is a Fellow of the American College of Radiology (ACR) and former member of the Council Steering Committee. She served as Vice-Chair for Practice Guidelines and Technical Standards of the ACR Commission on Quality and Safety. She is a recipient of the Advisory Committee Service Award of the U.S. Food and Drug Administration, in recognition of distinguished service on the National Mammography Quality Assurance Advisory Committee. The American Association for Women Radiologists has honored Dr. Timins with the Professional Leadership Award for Mid-Career/Senior Faculty and the President’s Award. In appreciation of service as an Affiliate Member of the Conference of Radiation Control Program Directors, she was presented with the Board of Directors Award for Outstanding Achievement in the Field of Radiation Protection, for participation on the H-30 Task Force and development of the White Paper on Bone Densitometry. is a Clinical Professor of Radiology and Clinical Professor of Radiation Oncology at University of California (UC) Davis School of Medicine. He holds the title of Director Emeritus Medical/Health Physics Programs and retired as Associate Chair of the Department of Radiology in 2018. He is currently Chair of the Board of Directors and Senior Vice President of NCRP. He is an expert on the biological effects, safety and interactions of ionizing and nonionizing radiation and holds multiple radiation detection technology patents. 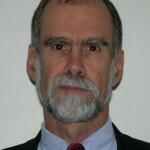 With over 40 y of experience he has served as a subject matter expert and an advisor to government agencies and institutions throughout the nation and around the world including the U.S. Department of Homeland Security, the U.S. Food and Drug Administration’s Center for Devices and Radiological Health, the World Health Organization, and the International Atomic Energy Agency in the areas of ionizing and nonionizing radiation protection, risk communication, medical physics, and radiological emergency medical management. In 2016, Dr. Bushberg was appointed Vice Chair of the Committee on Man and Radiation which is a Technical Committee of the Institute of Electrical and Electronics Engineers’ Engineering in Medicine and Biology Society. Former Commander in the U.S. Naval Reserve, amoung other assignments CDR Bushberg served as Executive Officer of the Chemical/Biological/Nuclear Technical Unit 120 Pacific, a highly skilled multidisciplinary military emergency response and advisory team based out of the Alameda Naval Air Station in California. Dr. Bushberg is an elected fellow of the American Association of Physicists in Medicine and the Health Physics Society. He is certified by several national professional boards with specific subspecialty certification in radiation protection and medical physics and currently serves as a Director and Vice Chair of the American Board of Medical Physics. In 2014, Dr. Bushberg was awarded the NCRP Warren K. Sinclair Medal for Excellence in Radiation Science and received the Professor John C. Christiansen Distinguished Alumnus award from Purdue University School of Health Sciences in 2016. Prior to coming to the UC Davis Health System as technical director of Nuclear Medicine, Dr. Bushberg was on the faculty of Yale University School of Medicine Department of Radiology where his research was focused on radiopharmaceutical development. Dr. Bushberg has had responsibility for medical postgraduate education in medical physics, radiation (ionizing and nonionizing) biology and protection for more than 30 y. The third edition of the textbook The Essential Physics of Medical Imaging, authored by Bushberg, Seibert, Leidholdt, and Boone, is used extensively by radiology residency programs throughout the United States. 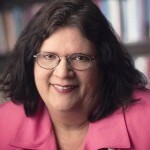 is Professor Emerita in Philosophy at Saint Mary’s College, Notre Dame having retired as its Provost. She resides in Logandale, Nevada, one of the areas which experienced fallout from the above ground nuclear testing in the 1950s. She received her master’s and doctorate from Washington University in St. Louis, Missouri. While there, she served as the assistant editor of the Philosophy of Science Journal. She has also served as a consultant to the Organization for Economic Co-operation and Development/Nuclear Energy Agency in Paris, France. Dr. Fleming has published and lectured internationally on the ethical and epistemological issues associated with the disposal of high-level nuclear waste, including the use of expert elicitation methodology in site characterization, waste management and indigenous populations, informed consent in stakeholder populations, and circularity in regulatory policy. Dr. Fleming’s familiarity with ethical concerns regarding the health effects from radiation exposure led to her appointment on the National Academy of Science Committee to Assess the Scientific Information for the Radiation Exposure Screening and Education Program. She served on the Veterans Board on Dose Reconstruction from 2005 to 2013. Her current project is a manuscript on ethics and the wide gamut of nuclear matters. is Assistant Clinical Professor of Radiology at the University of California (UC) Davis School of Medicine and has served as the Radiation Safety Officer for the UC Davis Health System for the past 16 y. Ms. Kroger received her undergraduate degree and her Master’s Degree from Rutgers University. She has been with UC Davis for 25 y. Prior to her arrival at UC Davis, Ms. Kroger worked for private industry in biopharmacology research and drug development. She transitioned to cancer research when she joined UC Davis in 1988. From 1988 through 2000, her research focused on the development of new radiopharmaceuticals for both diagnostic imaging and treatment of non-Hodgkin’s lymphoma and breast cancer. Since assuming her role as Radiation Safety Officer in 2003, she has focused on regulatory compliance, quality assurance issues as well as education of medical students, residents and fellows with the overall goal of improving workplace radiation safety. Ms. Kroger oversees the nonclinical aspects of nuclear medicine training for the radiology residency program at UC Davis. In addition, she has taken an interest in radiologic emergency preparedness. Ms. Kroger has authored or co-author more than 50 peer-reviewed journal articles and has presented at numerous scientific conferences. 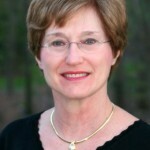 She has served in a number of roles in both the local chapter as well as the national Health Physics Society and been an active participant on NCRP committees since 2005.
is Director of the National Health Physics Program, Veterans Health Administration, U.S. Department of Veterans Affairs (VA). His areas of interest include technical quality assurance and radiation dose reduction in medical imaging and medical response to radiological incidents. He is certified by the American Board of Radiology in Medical Nuclear Physics and Diagnostic Radiological Physics and is a fellow of the American College of Radiology. He received a PhD in Nuclear Engineering, a Master of Applied Mathematics, a Master of Engineering in Nuclear Engineering, and a BS in Nuclear Engineering, all from the University of Virginia. He has served as a Radiation Safety Officer at two VA medical centers, as technical director of nuclear medicine at one, and as the Radiation Safety Program Manager for the former Veterans Health Administration Western Region. He is a Clinical Associate Professor of Radiology at the University of California, Davis. He is a co-author of six scientific papers and abstracts, one textbook chapter, and one textbook, in its third edition. Dr. Leidholdt was elected to NCRP in 2006. He served on the scientific committees that wrote NCRP Report No. 165 and Statement 11. He is an author of the U.S. Environmental Protection Agency’s Federal Guidance Report No. 14. He served as a surface line officer in the U.S. Navy from 1971 until 1975.
is Chief Medical Officer for Radiological Health at the U.S. Food and Drug Administration's (FDA) Center for Devices and Radiological Health. He earned a BA from Yale University and an MD from New York University, and completed a residency in diagnostic radiology and a fellowship in interventional radiology at New York University Medical Center. He is board certified in Diagnostic Radiology and Vascular and Interventional Radiology. Prior to joining FDA, he practiced interventional radiology at the National Institutes of Health and the National Naval Medical Center in Bethesda, Maryland. Dr. Miller was elected to NCRP in 2006. He currently serves on the Board of Directors, as Chair of Program Area Committee 4 (Radiation Protection in Medicine), Chair of the Nominating Committee, and as a member of several scientific committees. He is an author of NCRP Reports No. 168 and No. 172 and Statement No. 11. He served as a member of the International Commission on Radiological Protection (ICRP) Committee 3 (Protection in Medicine) from 2010 to 2017. 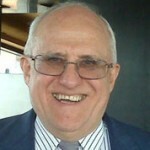 He is an author of ICRP Publications 117, 120, 135 and 139. He was Vice-Chair for the U.S. Environmental Protection Administration's Federal Guidance Report No. 14, is a consultant to the International Atomic Energy Agency, and is a member of the World Health Organization's Core Group of Experts on Radiation Protection of Patients and Staff. 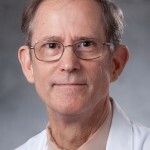 Dr. Miller was Professor of Radiology at the Uniformed Services University in Bethesda, Maryland from 1993 to 2012 and has served as Associate Editor of Radiology and the Journal of Vascular and Interventional Radiology. 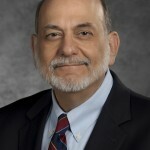 He is an author of more than 185 papers in peer-reviewed journals and more than 30 book chapters and reports, is a Fellow of the Society of Interventional Radiology (SIR) and the American College of Radiology (ACR) and is an Honorary Member of the American Association of Physicists in Medicine. He chaired SIR's Safety and Health Committee from 1999 to 2011 and the ACR Guidelines Interventional Committee from 2008 to 2012. His research interests have centered on radiation protection in medicine. is Associate Professor of Radiology at Duke University Medical Center, and Associate Director of the Duke University Radiation Safety Division. Dr. Reiman received a BS in Physics and an MS in Public Health (Radiological Hygiene) from the University of North Carolina at Chapel Hill (UNC). After leaving UNC, he worked in the Biophysics Laboratory of the Memorial Sloan-Kettering Cancer Center in New York, where he developed quantitative scanning techniques for metabolic studies using 13N-labeled amino acids, labeled red blood cells, and radioactive iron. He subsequently obtained his MD degree from Case Western Reserve University School of Medicine, and completed a Nuclear Medicine Fellowship at Duke. He is certified by the American Board of Nuclear Medicine, and is a member of the Society of Nuclear Medicine and the Health Physics Society. As Associate Director, he coordinates the Radiation Safety Division’s patient care responsibilities in nuclear medicine, diagnostic radiology and radiation oncology, and assists the Nuclear Medicine Division with internal dosimetry issues. He develops and maintains web-based applications for radiation safety program administration and regulatory compliance, including a website used by clinical trial study coordinators at Duke and other institutions to create radiation risk statements for use in consent forms. He participates in the education of nuclear medicine and radiology house staff, medical physics residents, medical students and hospital staff. He has consulted with the American College of Radiology Information Network’s Radiation Safety Working Group on risk communication to patients and research subjects, and has served on the Board of Directors of the Medical Section of the Health Physics Society. Dr. Reiman is a member of the North Carolina Radiation Protection Commission, which has governmental oversight of the state regulatory agency for radioactive materials and radiation sources. is Professor of Radiology at the University of California (UC) Davis School of Medicine in Sacramento, California. He received a PhD in Radiological Sciences from UC Irvine in 1982, specializing in quantitative digital fluoroscopic imaging. Directly thereafter, he took a faculty position at UC Davis Medical Center, pursuing digital imaging research, physics education efforts for graduate students and radiology residents, as well as quality control for medical imaging equipment in Diagnostic Radiology. He has continuing academic interests in digital mammography, computed tomography, interventional radiology, imaging informatics, and radiation dose tracking, assessment, and reporting. 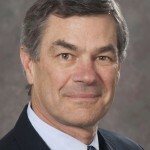 Former president of the American Association of Physicists in Medicine (AAPM) in 2011 and current Governor of the American Board of Radiology, Dr. Seibert has served and continues to interact with many professional committees in regards to medical imaging issues and presenting technical / educational events for the AAPM, International Atomic Energy Agency, and other professional societies. For NCRP, he is a member of Program Area Committee 4. As a co-author of The Essential Physics of Medical Imaging textbook for diagnostic physics education, Dr. Seibert continues with the development of cutting edge imaging technologies and medical physics education to improve the state of imaging science for the betterment of patient care. is currently a medical physicist with the Banner MD Anderson Cancer Center in Phoenix, Arizona and an adjunct professor at San Diego State University. He received his PhD in experimental particle physics from the University of Washington and subsequently completed a post-doctoral fellowship in radiation therapy medical physics at the University of Washington with research in intensity modulated radiation therapy. He has been chief medical physicist at the Veterans Affairs (VA) Puget Sound Health Care System in Seattle and an affiliate faculty member in the University of Washington School of Medicine, a professor at the University of California San Diego and a medical physicist with Landauer Medical Physics. 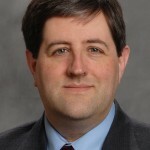 Dr. Sutlief worked to advance radiation therapy within the VA, including agency-wide radiotherapy equipment modernization, radiotherapy device interconnectivity, consultation for the VA National Health Physics Program, participation in several investigations, and development of qualification standards for therapeutic medical physicists. He has coauthored more than 50 articles and book chapters related to therapeutic medical physics. Dr. Sutlief developed and taught the physics curriculum for the Bellevue College Medical Dosimetry program. He has served as a consultant to the International Atomic Energy Agency and as a member of the Radiation Oncology planning group for the Integrating the Healthcare Enterprise. Dr. Sutlief was a Co-organizer for the AAPM Summer School on Quality and Safety in Radiation Therapy and was a faculty member for the Veterans Health Administration Biennial Conference on Radiation Oncology. He actively participates in the American Association of Physicists in Medicine, where he has served on many committees and on several task group reports. He is currently an NCRP Council member. MICHAEL P. GRISSOM is a Technical Staff Consultant for NCRP and is the President of MPG-HP, Inc., Riverside, California a private consulting firm. He is a recognized authority on operational health physics issues, particularly related to radiation protection in management, military, reactor, medical, and accelerator operations. During 20 y of service in the U.S. Navy, Mr. Grissom served as a Radiation Safety/Laser Safety Officer (hospital) and provided Radiation Health Officer support to the Naval Radiological Controls Program (propulsion, industrial and weapons). Mr. Grissom conducted research in biophysics and radiobiological effects at the Armed Forces Radiobiology Research Institute, Bethesda, Maryland as a junior then senior scientist and served as the Director of Medical Records Search for the Navy Nuclear Test Personnel Review, Office of the Chief of Naval Operations, Washington, DC. Mr. Grissom provided support to the Effluent and Dose Assessment Group, Three Mile Island Unit 2 Recovery Team in 1979 to 1980. He has delivered numerous presentations at scientific and professional society meetings. In 2012, Mr. Grissom became a Fellow of the Health Physics Society (HPS). He previously received the HPS Volunteer Award for services associated with the Medical Health Physics Section and is a Past President of the HPS Accelerator Section. He also served in a number of positions for Stanford University over a period of 16 y at the Stanford Linear Accelerator Center National Accelerator Laboratory, Menlo Park, California including Department Head, Operational Health Physics, and Assistant Associate Director for Environment, Safety and Health.